The Board of Control for Cricket in India's (BCCI) selection committee, headed by Sandeep Patil, announced the 15-man Indian squad for the ICC World Twenty20 2016 to be held in India from March 8 to April 3. The same team will also play in Asia Cup T20, which will be hosted by Bangladesh from February 24 to March 6. Under Dhoni's leadership, India won the inaugural World T20 in South Africa in 2007. In the last tournament in 2014, they lost to Sri Lanka in the final. Dhoni has so far led in 28 World T20 matches winning 18 (Lost 9, 1 No Result). India Asia Cup Squad: MS Dhoni (Captain & Wicketkeeper), Virat Kohli, Rohit Sharma, Shikhar Dhawan, Ajinkya Rahane, Suresh Raina, Yuvraj Singh, Hardik Pandya, Ravindra Jadeja, Ravichandran Ashwin, Jasprit Bumrah, Ashish Nehra, Harbhajan Singh, Pawan Negi, Mohammed Shami. The two neighbouring countries will lock horns in international cricket after quite some time after a bilateral series was called off, despite several efforts from board of both countries last year. The match will be played at the Shere Bangla National Stadium in Mirpur, on Feb 27th. The match is scheduled to start at 13:30 GMT | 19:00 IST and will be shown on Star Sports 1, 3, HD1 & HD3. The match will be streamed live on Star Sports website and Hotstar. The match will be played at the Himachal Pradesh Cricket Association Stadium in Dharamsala Eden Gardens, on March 19th. The match is scheduled to start at 14:00 GMT | 19:30 IST and will be shown on Star Sports 1, 3, HD1 & HD3. The match will be streamed live on Star Sports website and Hotstar. Asia Cup 2016 is scheduled to begin in Bangladesh from February 24 and will run up to March 6. It will be the 13th edition of the Asia Cup, the fifth to be held in Bangladesh, and the first to be played using the T20I format. The much-awaited India-Pakistan match is on Feb 27 in Mirpur. The one ICC associate member will be determined through a qualifier scheduled to be played from 19 to 22 February 2016. In a random draw in Times Square on Thursday, Indian batting legend Tendulkar was teamed up with former international team-mates VVS Laxman, Sourav Ganguly and Virender Sehwag for the three-match Twenty20 series, as well as Brian Lara. Warne ended up with a phenomenal fast-bowling trio of Courtney Walsh, Allan Donald and Wasim Akram for his Warriors, along with a number of his former Australian team-mates. STAR SPORTS for India, Bangladesh, Bhutan, Maldives, Nepal, Pakistan and Sri Lanka. Three Twenty20 internationals, five ODIs and four Tests. South Africa will play three Twenty20 internationals, five ODIs and four Tests on a 72-day tour of India, which runs from September to December, this year. 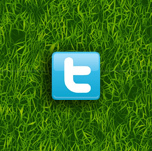 Results: Tests, India won 2-1 (3). Batsman Virat Kohli will lead the tourists in the three tests in Sri Lanka. Former Baroda opener Rakesh Parikh has been nominated by the Cricket Board as administrative manager of the Indian team. India Test Squad: Virat Kohli (Captain), Shikhar Dhawan, Murali Vijay, KL Rahul, Cheteshwar Pujara, Ajinkya Rahane, Rohit Sharma, Wriddhiman Saha (wk), Harbhajan Singh, R Ashwin, Umesh Yadav, Ishant Sharma, Bhuvneshwar Kumar, Amit Mishra, Varun Aaron. India will play three test matches in Sri Lanka during the tour that begins on August 3rd. The Test matches will be played at Galle, Tamil Union Oval, and SSC Colombo. Sri Lankan batsman Kumar Sangakkara will retire from international cricket after the second Test of the series. The only practice game will be played from August 6-8 against Sri Lanka Chairman's XI at the R Premadasa Stadium in Colombo. 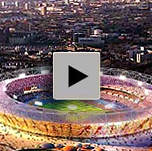 The 2015 Cricket World Cup will be jointly hosted by Australia and New Zealand. The location of the games will be evenly split, with the day-night final match to be held at the Melbourne Cricket Ground on March 29. India comfortably won its opening World Cup clash, beating rivals Pakistan by 76 runs at the Adelaide Oval. Man-of-the-Match Virat Kohli (107) helped the reigning champions to a defendable total of 7 for 300 with a vital century. Mohammed Shami (4 for 35) and Umesh Yadav (2 for 50), skittled Pakistan for 224 despite some fightback by Skipper Misbah-ul-Haq (76) and opener Ahmed Shehzad (46). Reported Earlier: More than a billion people are expected to watch Sunday's cricket match between the traditional rivals India and Pakistan. India have an overwhelming 5-0 record in the 50-over World Cup since the two teams were first pitted against each other at the ICC event in the 1992 edition in Sydney. The last such contest, the semi-final of 2011, was watched by around 150 million people worldwide, the biggest audience for any sporting event that year. On Friday, Indian Prime Minister Narendra Modi called his Pakistani counterpart Nawaz Sharif to wish Pakistan luck in the World Cup. After 23 years, the ICC Cricket World Cup returns to Australia (and New Zeland), and India - who won the 2011 edition at home - seem to have no chances of regaining the cup. Unlike the flat pitches in India, on the bouncy and seaming tracks in Australia and New Zealand they will have to make several technical adjustments if they have to do well. The MS Dhoni led-team has only four members - Dhoni, Kohli, Raina and Ashwin - from the victorious 2011 campaign, and there are concerns that a lack of experience especially in the bowling department - with not a single pace bowler of merit - will hurt India’s chances of retaining the Cup. The nucleus of the squad is the same which helped India win the Champions Trophy one-day tournament in England in 2013, and India under Dhoni is famous for raising its performance in big games where the stakes are high. India has every chance of qualifying for the quarterfinals as there are relatively weaker teams in the two groups. The likely opponents for India in the quarterfinal stage are either New Zealand or Sri Lanka. 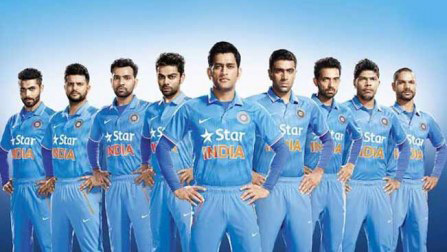 The 2015 Indian World Cup Team in their new jerseys by BCCI and NIKE. India Squad for 2015 World Cup: Mahendra Singh Dhoni (captain, wicketkeeper), Virat Kohli (vice-captain), Shikhar Dhawan, Rohit Sharma, Ajinkya Rahane, Suresh Raina, Ravindra Jadeja, Stuart Binny, Ambati Rayudu, Axar Patel, Ravichandran Ashwin, Bhuvneshwar Kumar, Mohammed Shami, Umesh Yadav, Ishant Sharma Mohit Sharma. India's World Cup record 1975: First round; 1979: First round; 1983: Champions; 1987: Semifinals; 1992: First round; 1996: Semifinals; 1999: Super Sixes; 2003: Runners-up; 2007: First round; 2011: Champions. 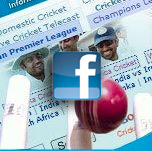 The International Cricket Council on Thursday announced that India would host the T20 World Championship in 2016. The sixth edition of the tournament is scheduled to take place from March 11 to April 3, 2016. The world governing body also received an update on the World Cup and approved the dates of the ICC events through to 2019. The world governing body also received an update on the World Cup and approved the dates of the ICC events through to 2019. The Carlton Mid ODI Tri Series involving Australia, England And India will start at the end of the four-test series between India and Australia. India will play three Tests against Australia. Results: Tests, Australia won 2-0 (4). The first Test between India and Australia was rescheduled for December 9 at Adelaide, the adopted home ground of late batsman Phillip Hughes, whose tragic death left the cricketing world devastated. The revised schedule allows for a three-day break leading into the Brisbane Test and a four-day break ahead of the Boxing Day Test in Melbourne for players to adequately prepare. Batsman Virat Kohli will lead the tourists in the first Test in Brisbane from December 4, as captain Mahendra Singh Dhoni was ruled out of the opening match due to injury. The Indian selectors named a 19-man squad that comprises eight specialist batsmen and five seamers along with two wicket-keepers excluding Dhoni for the four match Test series. The two new faces in the squad are right-hand batsman Lokesh Rahul (22) and leg-spinner Karn Sharma (27). Rahul is the third opener behind Shikhar Dhawan and Murali Vijay. Ishant Sharma leads the new-ball attack that includes Bhuvneshwar Kumar, Mohammad Shami, Umesh Yadav and Varun Aaron. The three spinners in the side are Ravichandran Ashwin, Ravindra Jadeja and Karn Sharma. India Test Squad: Mahendra Singh Dhoni (capt), Virat Kohli, Shikhar Dhawan, Murali Vijay, Lokesh Rahul, Cheteshwar Pujara, Ajinkya Rahane, Rohit Sharma, Suresh Raina, Wriddhiman Saha, Naman Ojha, Ravichandran Ashwin, Karn Sharma, Ravindra Jadeja, Bhuvneshwar Kumar, Mohammed Shami, Ishant Sharma, Umesh Yadav, Varun Aaron. Australia Test Squad: (First Test only) Chris Rogers, David Warner, Shane Watson, Michael Clarke (capt), Steven Smith, Mitchell Marsh, Brad Haddin (vice-capt, wk), Mitchell Johnson, Ryan Harris, Peter Siddle, Nathan Lyon, Josh Hazlewood. Two days after being struck by a bouncer in what was called a freakish accident, Australian star cricketer Phillip Hughes died in a Sydney hospital on Thursday. Cricketers, politicians and sports people have paid tribute to Hughes, who at 25, became one of only a handful of professional players to suffer a fatal head injury on the field within the last century. Hughes had burst on to the international scene in 2009 with two hundreds in his second Test. The South Australian batsman was playing in a Sheffield Shield match against New South Wales when a bouncer from Sean Abbott hit his neck. Hughes received mouth-to-mouth resuscitation on the pitch and was soon whisked by medical transport off the pitch to St Vincent's Hospital. He then received emergency surgery to reduce the pressure on his brain but never regained consciousness. After his death was announced, cricket officials from Pakistan and New Zealand chose to postpone the second day's play in the third and final Test between the two countries. A two-day tour match between a Cricket Australia XI and India, scheduled to be played in Adelaide on Friday and Saturday, has been cancelled.